The “right plant in the right place” is an important rule of thumb for gardeners, landscapers and plant lovers of all stripes. This idea offers a tried-and-true path to creating any kind of healthy, thriving landscape. While we all break the rules at some point — and sometimes with decent results — straying too far from this important maxim usually leads to a high maintenance planting and a lot more work than you bargained for. Digging-up and relocating plants is a labor intensive job, and it’s probably fair to say that we all want to avoid it. — A yard that can easily survive on local rainfall, once plants are established. — No need for soil amendment, fertilizers or additional resources. — A garden that will flourish with minimal maintenance or intervention. — A planting that help build soil health and is capable of repairing degraded situations. — A landscape that is networked with the indigenous wildlife community. There are two pieces of very good news about choosing native plants. First, there are native plants that will thrive in virtually any soil or growing conditions which you may have; and second, many native plants are very adaptable and will thrive in a wide range of conditions. 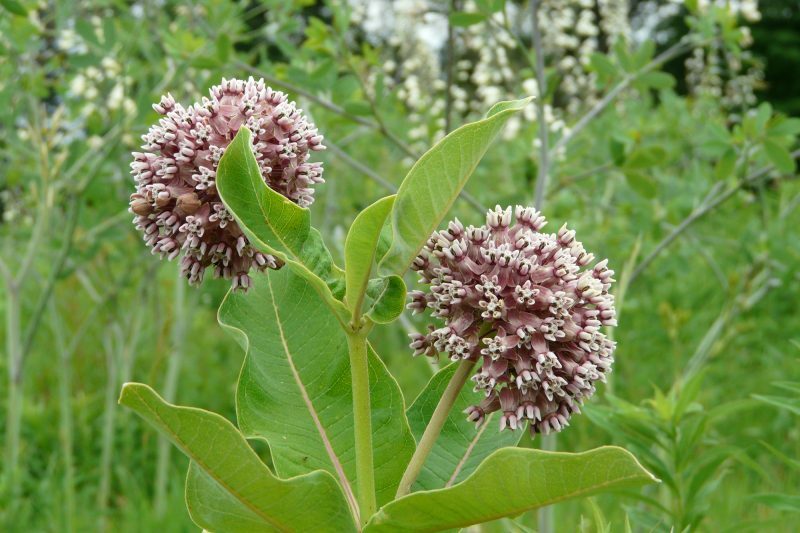 Common Milkweed (Asclepias syriaca): Very adaptable and thrives in a wide range of conditions. This milkweed is clonal and is happiest in a patch where it’s allowed to spread a little. We offer seven different Milkweed species, so you can find the right milkweed for any site. 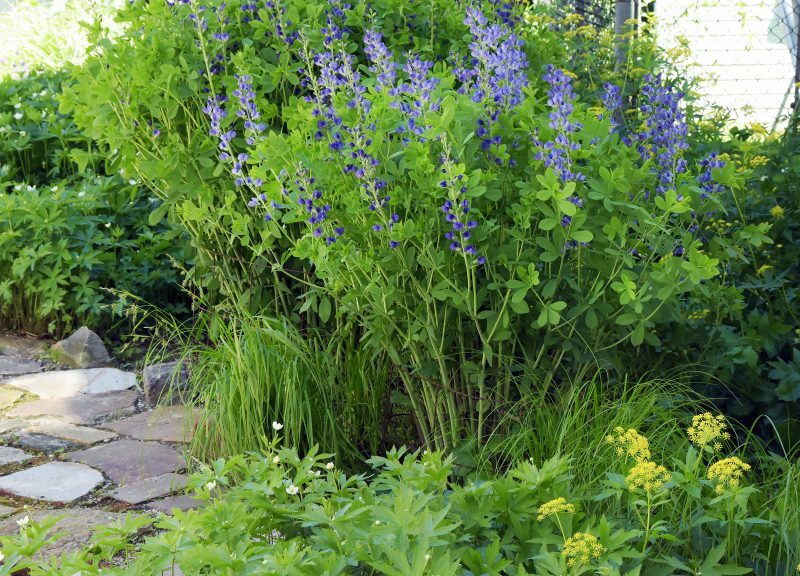 Blue False Indigo (Baptisia australis), is an adaptable garden favorite that grows well in a wide range of conditions and does not spread. It’s fairly long-lived, too. Each yard or landscape is unique and has its own characteristics and micro-climates. Get to know the unique qualities within your landscape. As you become more familiar you will be able to pick the right plants. Is the planting area on the east, south or north side of the house? Is there a steep hill, or a dip in the elevation? Is the area high and dry? Is there any root competition from trees? Do you want to plant in an area that gets standing water? The soil, sunlight and the moisture can all vary in different parts of your yard. Familiarity is key. If familiarity is first, then acceptance is second. Be realistic about the conditions you find, so you can find what will actually thrive there. Most plants are able to thrive within a range of soil and light situations, but there are some that are adapted to very particular settings and need to be planted in very specific situations. 1. Soil Type – Soil type is determined by the size of the particles, the amount of organic matter, and the water-holding capacity of the soil. Examine the soil by squeezing a clump of dirt in your hand and rubbing it between your fingers. Sand, loam or clay? 2. Soil Moisture – Soil Moisture is the result of elevation in the landscape, or proximity to groundwater or to surface water. Dry, medium, moist or wet? 3. Light Conditions – Indicates the amount of sunlight received in a given area, over the course of a day. Full sun, partial sun, or shade? 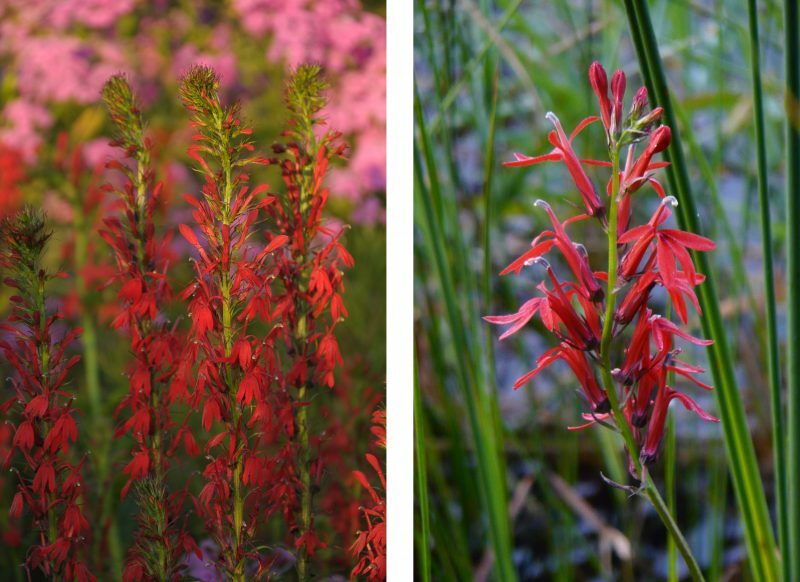 Cardinal Flower is happiest in a moist or wet soil. The left image shows it planted in a moist area of the garden, along with Marsh Phlox. The right side is in the wild, among reeds in a marsh. It can be planted in medium garden soils with some success, but in that case it’s usually short-lived. Once you’ve determined the conditions at your planting site, or sites, use the PlantFinder to create a starter list of the best plants. Start broadly, and choose just one attribute for each of the three main categories: Soil Type, Soil Moisture and Sunlight. This gives you a nice broad view of your choices, to get you started. Native range maps for each plant can be found on our website. These maps offer unique information and are a valuable reference tool. When using the maps, keep in mind that the map, on its own, will not tell you which plants are best for your site. The range maps don’t contain any information about the physical environment to which the plant is adapted (whether prairie, woodland or savanna, dry rocky, etc.). Always refer to the plants’ growing conditions to make a decision. The right plants will have requirements that align with your site conditions. Native plants can be grown outside of their range in the appropriate conditions. Each map shows where the species has been reported to grow, or has grown. Plants don’t abide by the borders — birds, insects, mammals, humans and weather all play a role in moving the plants about, and it’s natural for ranges to shift over time. 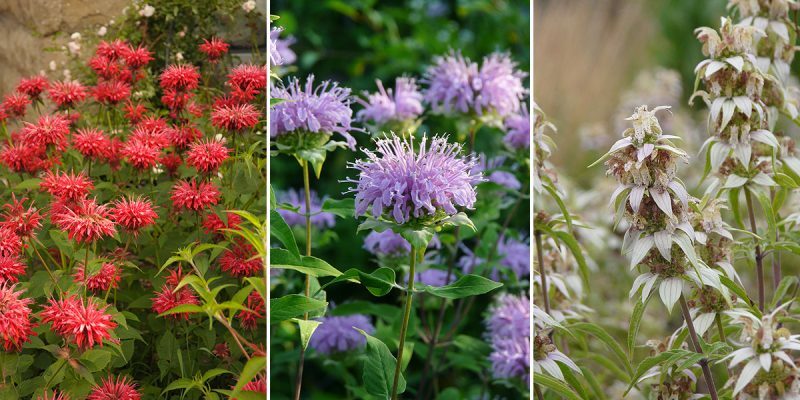 In the center, Bergamot (Monarda fistulosa) is the most adaptable of these three Monarda’s. It can thrive just about anywhere: dry or moist — clay, sand or loam. On the left, Red Beebalm (Monarda didyma) prefers a clay or loam soil and consistent moisture. It tolerates some shade. On the right, Dotted Mint (Monarda punctata) is a specialist that thrives on sunny, hot, sandy sites. It is not recommended for nutrient rich or moist areas. Shown above, Rough Blazingstar (Liatris aspera) is the best Liatris for dry sandy sites. 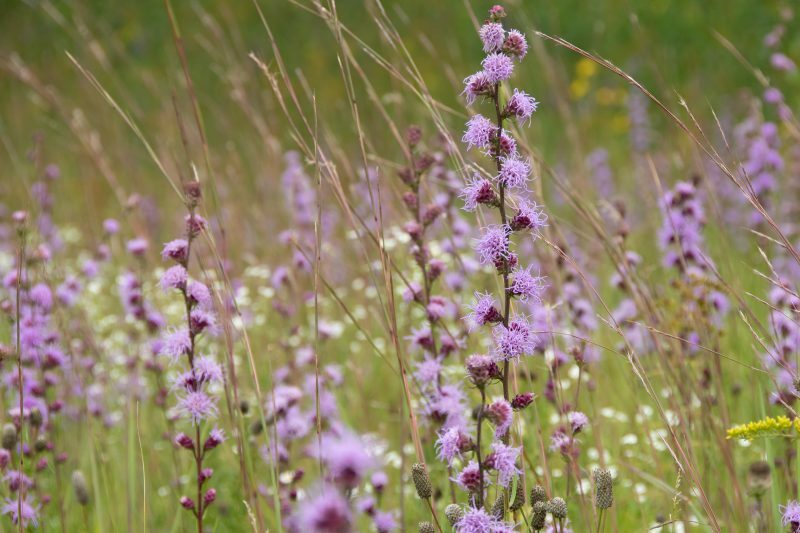 For medium to moist soils Meadow Blazingstar is better. Dense Blazingstar and Prairie Blazingstar are both good choices for situations with more moisture. Even the best sited plants need some routine care in order to succeed. New transplants need special attention while they are getting established. Newly installed plants need to be watered and mulched for the first full growing season. In a rapidly changing world where landscape degradation is all too common, native plants have the amazing capacity to help repair degraded situations, create sustainable gardens and bring biodiversity back into your landscape. The best choices for a beautiful thriving garden will be based on your specific site conditions. You’ll be happier with the results, and so will the plants, when they are chosen to fit the soil, light and temperate conditions at hand.